Residents of the Virgin Islands are encouraged to continue to get tested for HIV/AIDS as three new cases reported in the first six months of 2018. She also said older adults in particular need to get tested as UNAIDS reported that in 2017, that 20 percent of people living with HIV in the Caribbean region are aged 50 and older and an estimated 62,000 HIV positive persons are seniors. 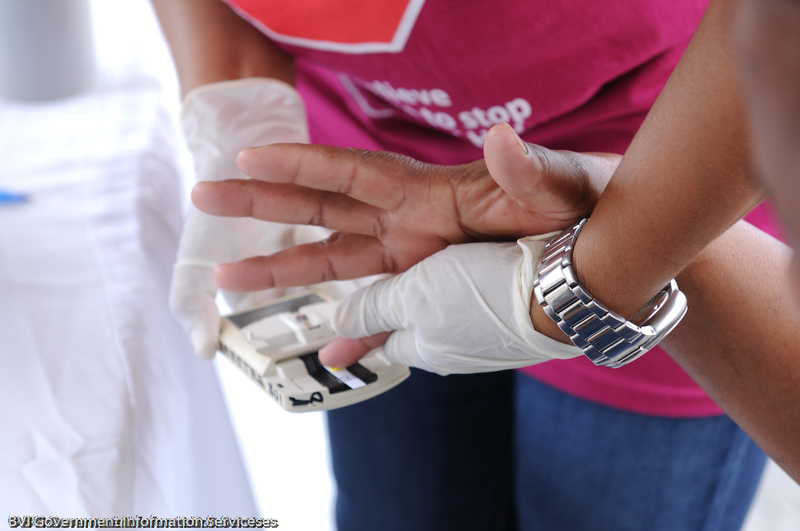 Nurse Hannibal said that despite gains in the prevention and control of the disease, this report advises that the Caribbean must quicken the pace if it is to meet the testing and treatment targets due in two years. The UNAIDS report stated that in order to reach these benchmarks, the region has to diagnose 54,800 more people, get 74,400 more on treatment and achieve viral suppression among 103,000 more people living with HIV. By 2020, the expectation is that 90 percent of persons with HIV would know their status, 90 percent of persons HIV positive would be in care and treatment and 90 percent of persons on treatment will be virally suppressed. The Ministry of Health and Social Development reminds persons infected with HIV that they can live wholesome and healthy lives with proper care and treatment. Nurse Hannibal said that treatment is available and accessible in the Territory and early diagnosis enables one to access treatment which would in return help to live a better quality of life. The public is further encouraged to practice safer sexual habits, sticking to one faithful partner and using barriers and condoms with each sexual exposure. Testing and condoms are available at all community clinics and may also be arranged by calling 468-2275. The Ministry of Health and Social Development aspires to provide a caring and integrated system of health and social services that facilitates the recovery of human development and quality of life in the Virgin Islands.